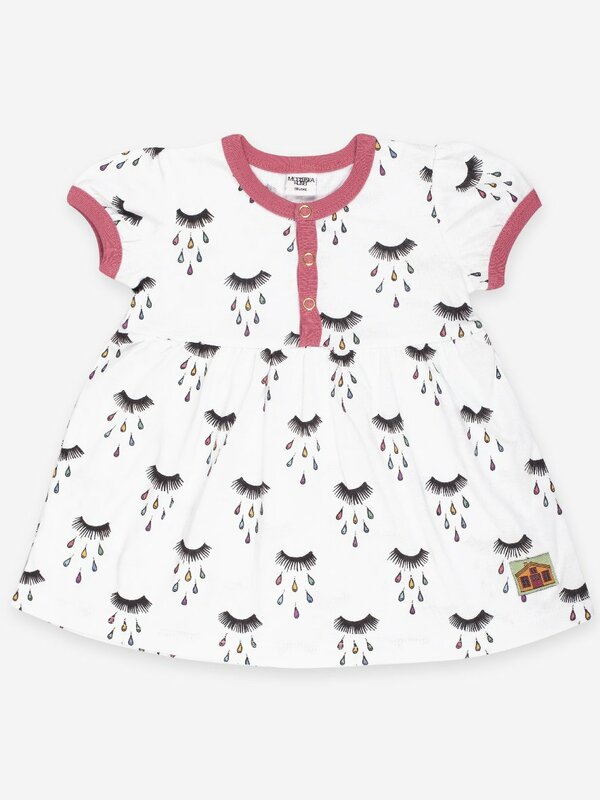 Cute dress for the little one, in 100% certified organic cotton jersey. Button opening at front and gathered waist. The pattern is called Salty Tears. Each little falling tear is like a little miracle of something unfathomable! And quite beautiful. In this pattern, someone is crying rainbow coloured tears.... What can we do to cheer her/him up? Garment might shrink up to 4%.